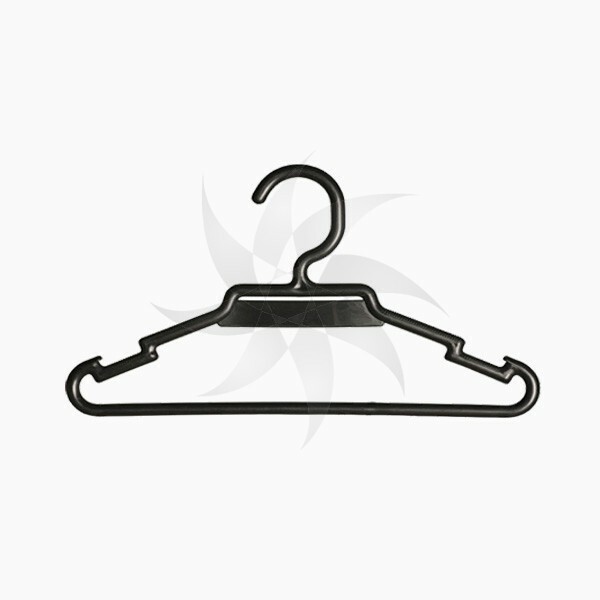 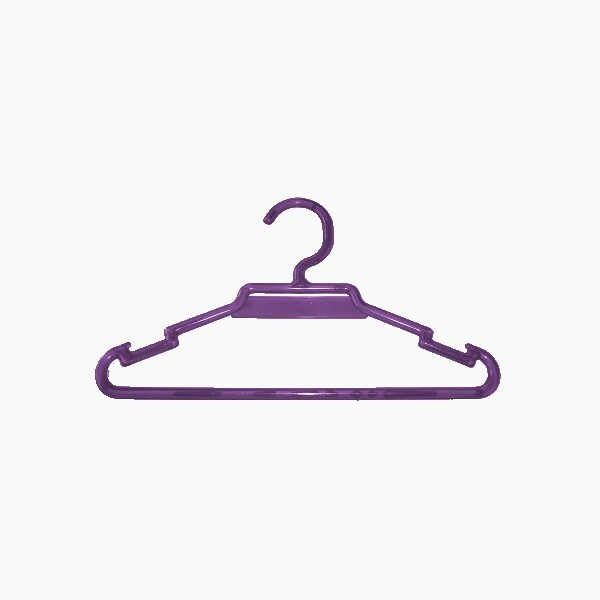 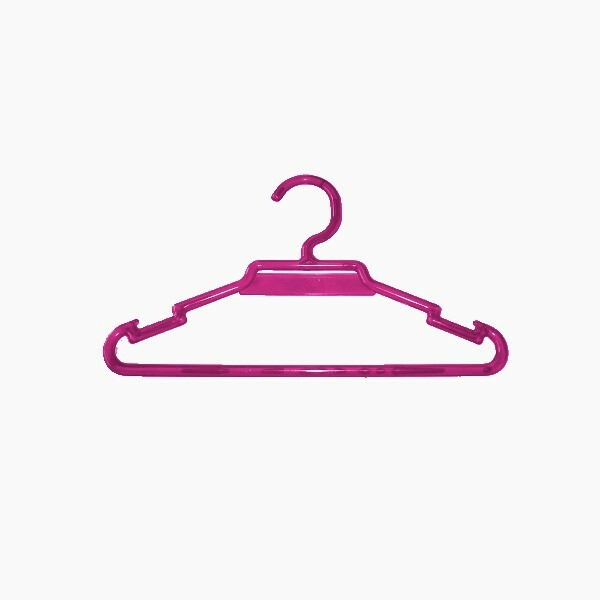 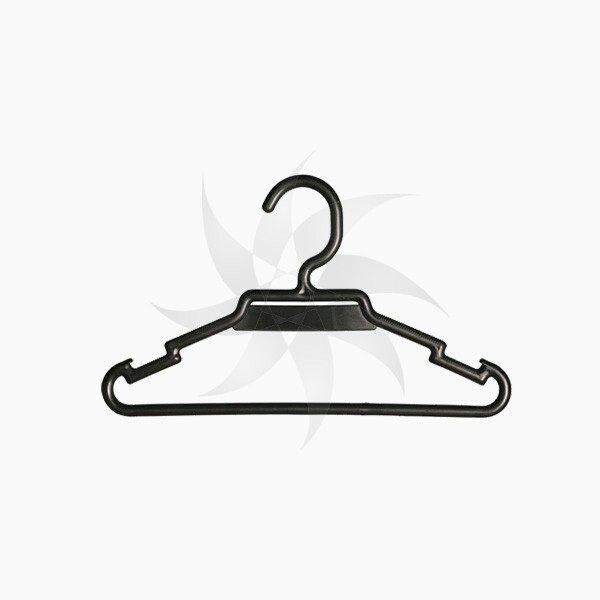 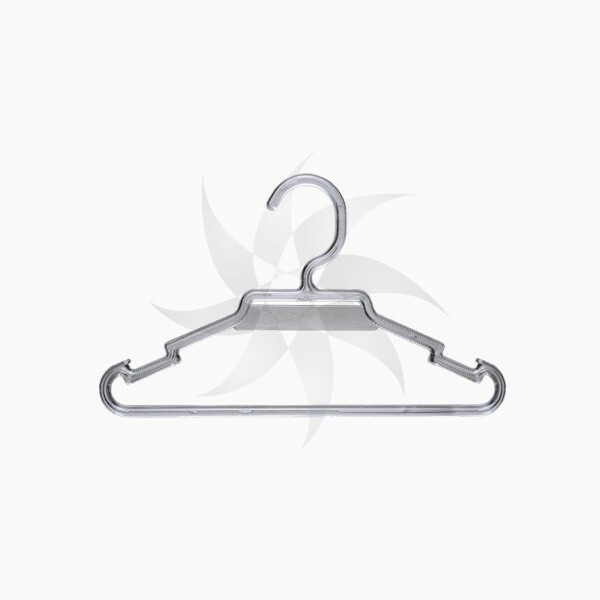 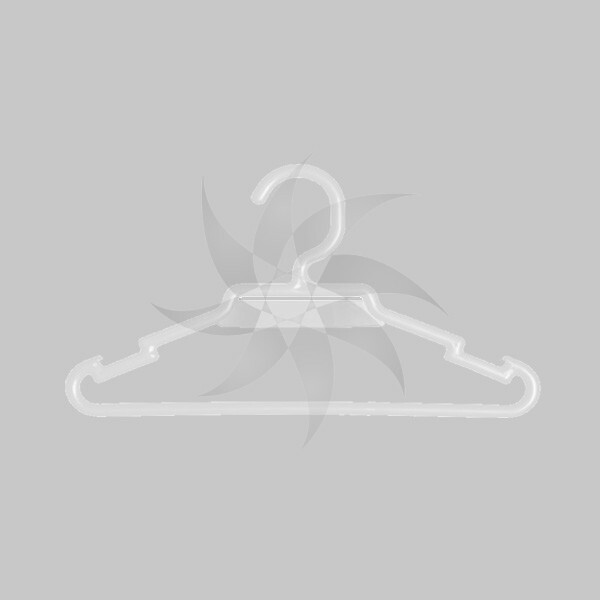 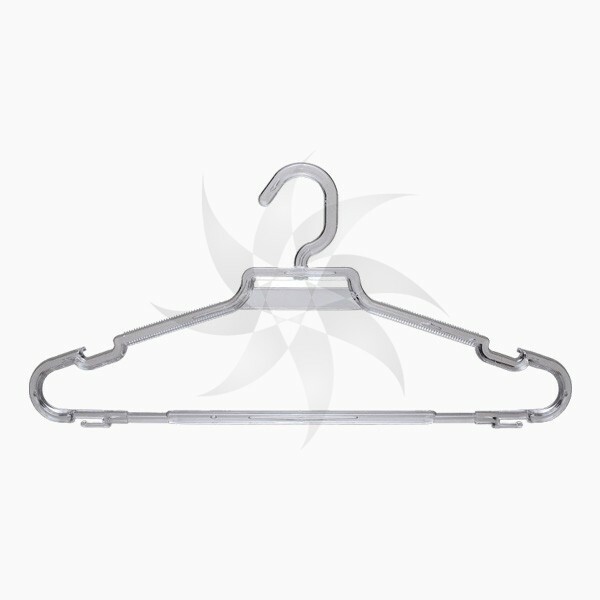 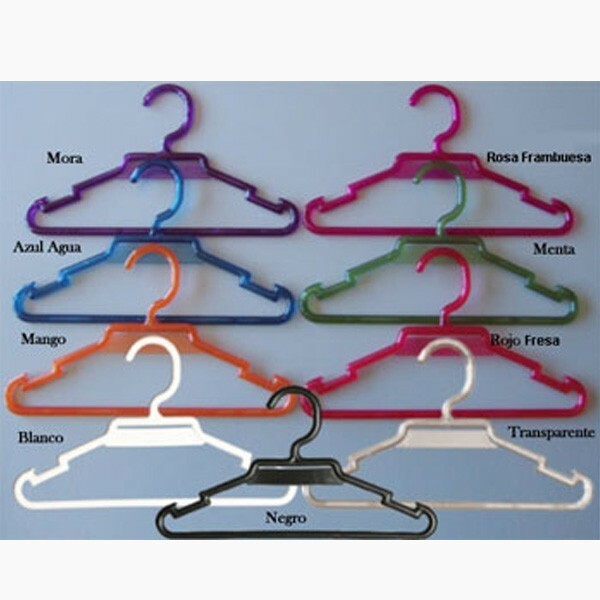 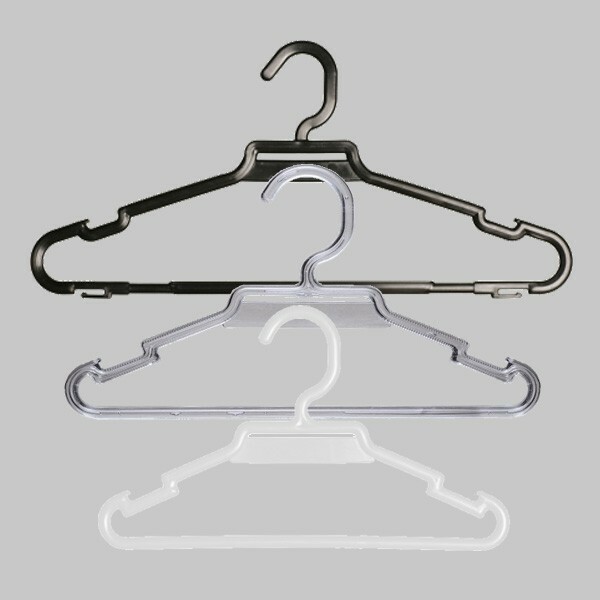 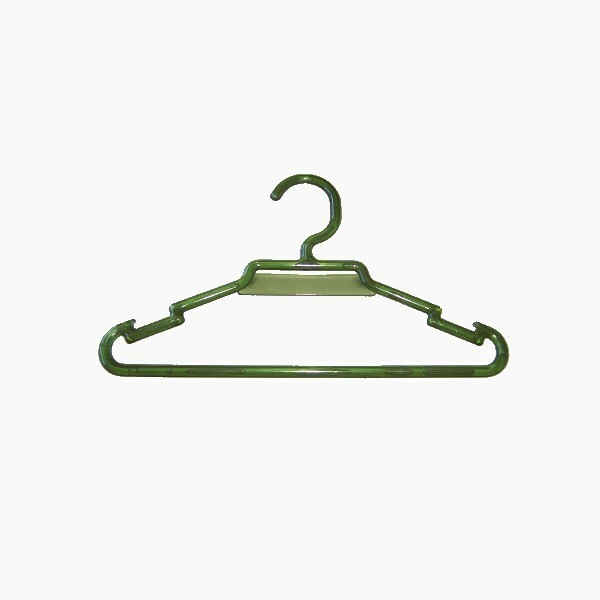 Home>Round plastic hanger with bar and notches 27, 35 or 40 cm. 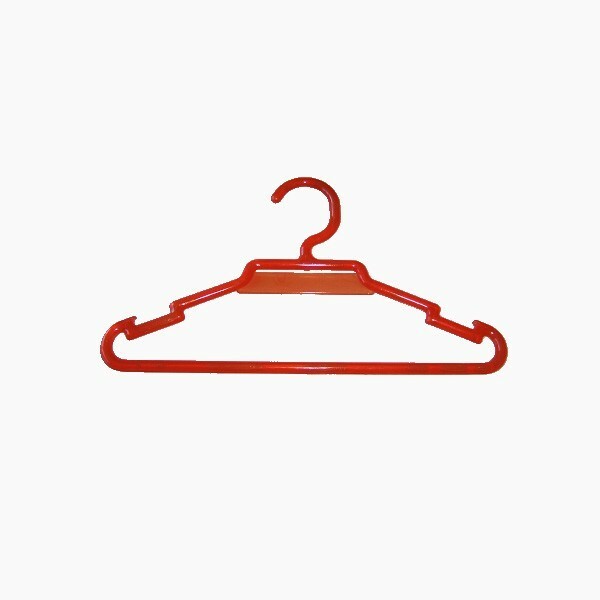 Round plastic hanger with bar and notches 27, 35 or 40 cm. 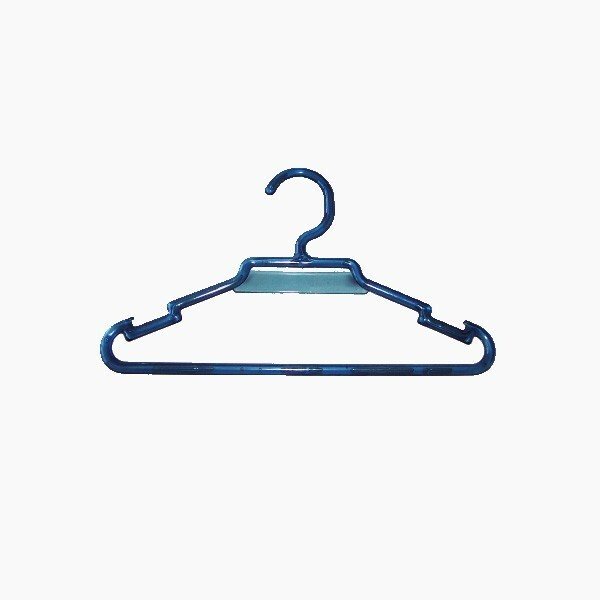 Round plastic hanger with bar and notches 27, 35 or 40 cm. 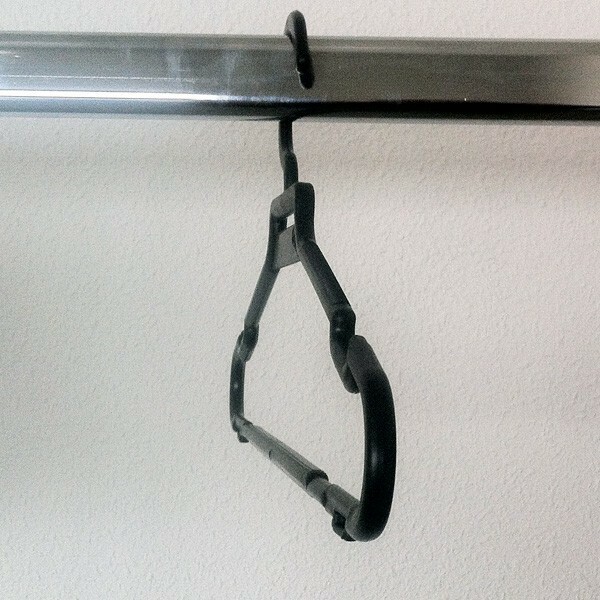 Use to hang clothes women, men, youth or children. 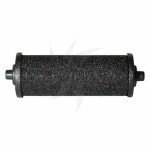 For coats, jackets, suits, dresses, track suits, shirts and pants. 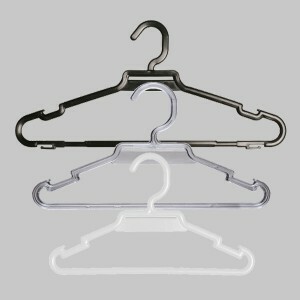 Size : 27cm.35 cm.40 cm. 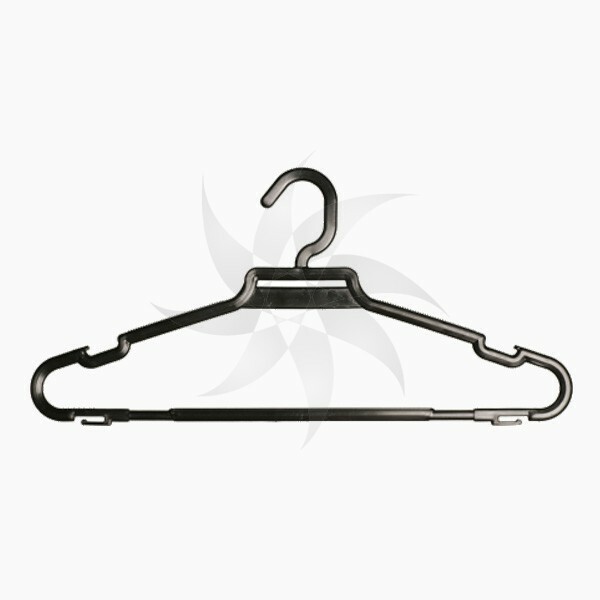 - Main component: polypropylene plastic with UV protection to retard wear. 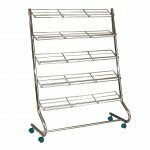 - Width: 27, 35 or 40 cm. 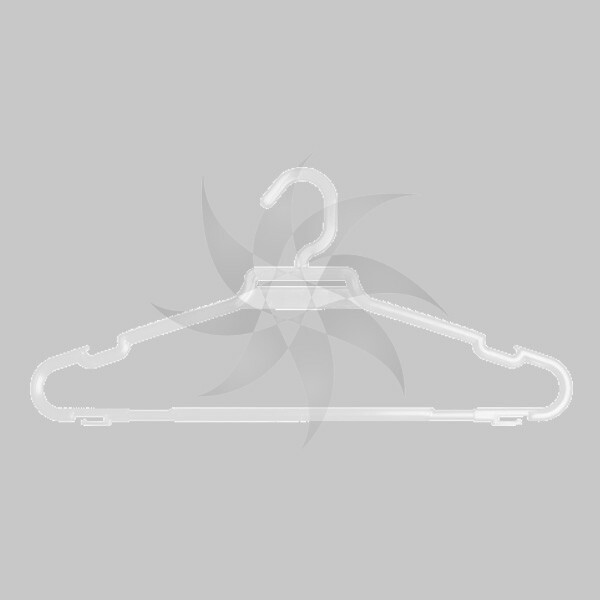 - Clean with a damp cloth and a mild detergent or cleaner. 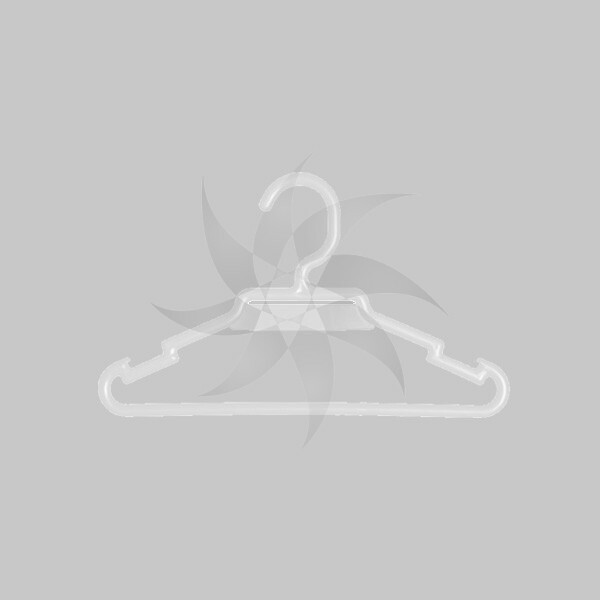 - Dry with a dry cloth.